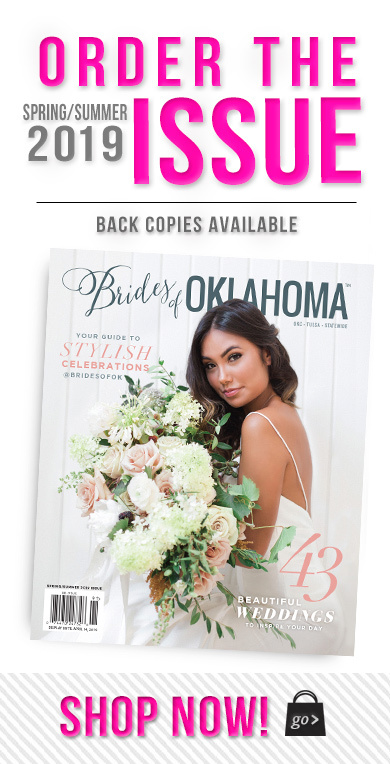 We recently had the opportunity to share our new Fall/Winter issue of Brides of Oklahoma with some of the most fabulous wedding vendors in Oklahoma. We couldn’t put together such a beautiful magazine without them and love celebrating each release with such a talented group of people! 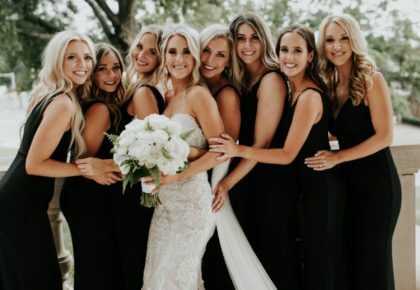 We couldn’t wait to share a glimpse of some of the gorgeous details from these recent gatherings! Our first stop was at the Ambassador Hotel Tulsa. 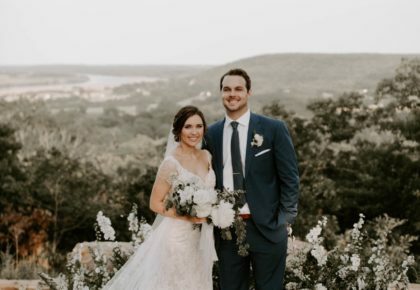 The Chalkboard, the venue’s exclusive caterer, made a mouthwatering menu and the room was beautifully dressed in linens from Party Perfect Linens and florals from Mershon Events. For a sweet send off, Icing on the Top crafted the most adorable wedding themed cookies for guests to take home! 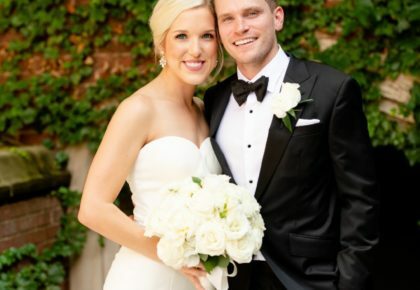 Thanks to Brittney Ashton Photography for capturing the lovely details! Our next stop was The Greens Country Club in Oklahoma City for a delicious brunch served with tasty mimosas for the festive occasion! We were thrilled to have Sooner Valet there to make parking a breeze! Marianne’s Rentals for Special Events provided the lovely linens, chairs and sleek lounge furniture, while Tony Foss Flowers added beautiful centerpieces to complete the look. Guests left with tasty treats from Brown Egg Bakery and of course the latest issue of Brides of Oklahoma! Thanks to Aubrey Marie Photography for capturing these sweet details! Happy Monday!